From tax consultant to retail. 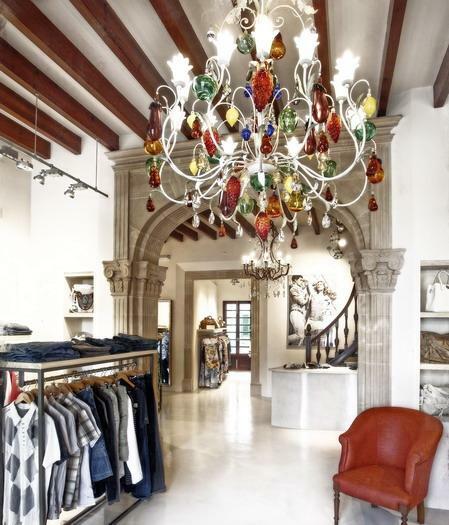 Transformation of a typical Mallorcan town house in the center of Santanyi into a retail store for women's - and men's outerwear. 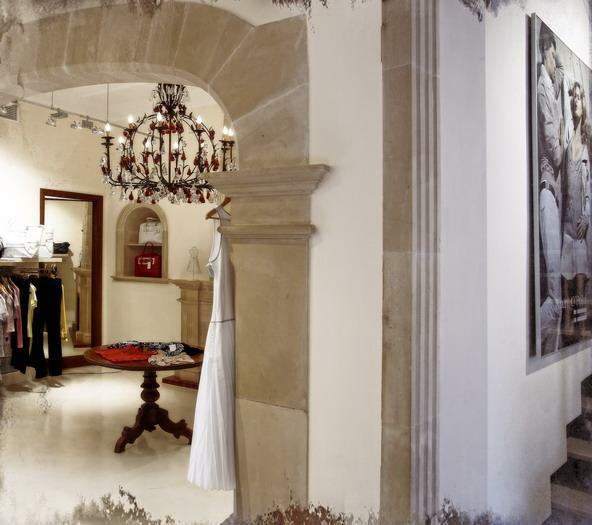 The ground floor of the town house was carefully renovated, the small offices were combined into a showroom with adjoining storage. 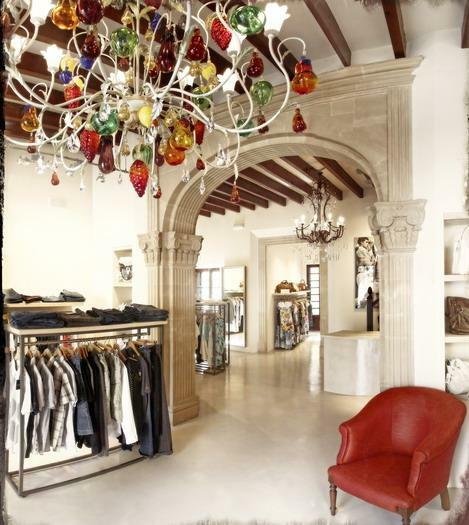 Complete renovation and shopfitting, product presentation stand, counter, lighting, etc. from one source. Floor made of polished "microcemento", product presentation stand made of painted steel and bleached oak. 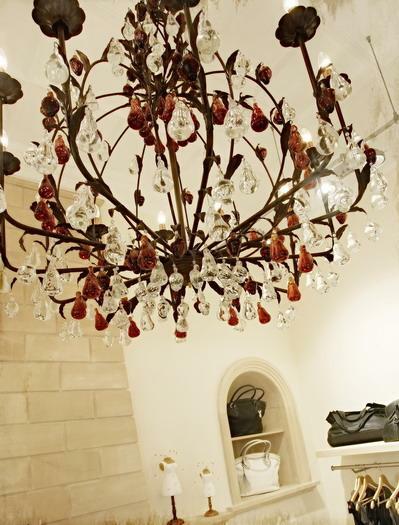 The Italian chandeliers are eye-catchers you can see from the road.